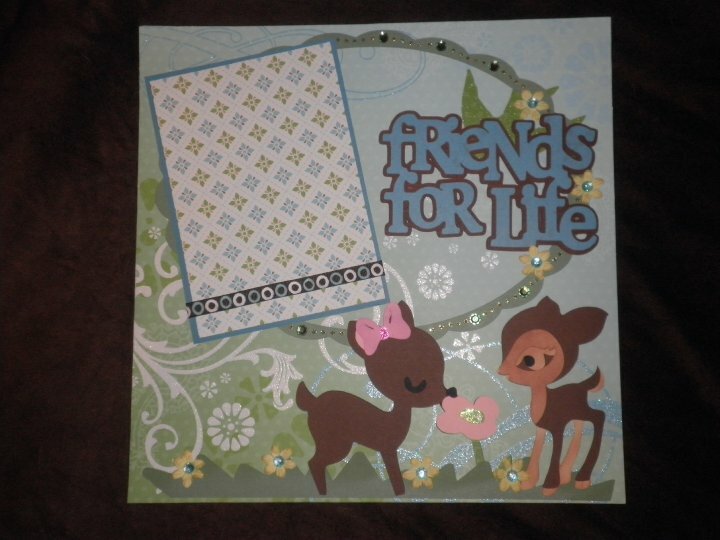 LOVE all these cute deer's on the newer cricut cartridges. I was playing around on my Gypsy last night and decided I had to make a layout with them. LOVE my Gypsy because I used 6 different cartridges on this layout and it made it so easy! This layout is 12x12 and the background paper is from a DCWV stack. This is SO cute! I love these deer, too! Oh Candace - This is just so sweet!! I love your papers and those deer are adorable! Great job!! this is adorable!!!! Love it all. Happy day!